​Serenity Fung, pianist, is active as a teacher, collaborator, and performer. Recent performances included solo and collaborative recitals at Roxy Grove Hall, Baylor University; arts center Cultivate 7twelve in downtown Waco, TX; and the inaugural Charleston Chamber Music Institute in Charleston, SC. Her love for collaboration has led her to festivals and appearances around the world, including Orvieto Musica in Umbria, Italy, and Carnegie Hall and Lincoln Center in New York. She has a wide portfolio of collaborative repertoire, encompassing art song, opera, instrumental works, chamber music, and choral music. Serenity joined the faculty of the Charleston Academy of Music in August 2018. Past teaching positions include a graduate assistantship as a Teacher of Record at Baylor University and a faculty position at Bellas Artes School of Music in Glen Ellyn, IL. Currently, Serenity is in the Artist Certificate program at College of Charleston in Charleston, SC, studying with Paul Sánchez. 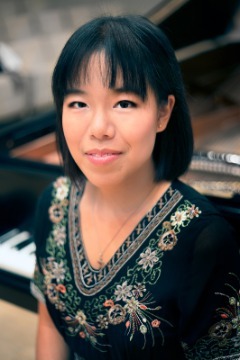 She holds a Master of Music in Piano Performance and Pedagogy from Baylor University, where she received the Roger L. Keyes Award for Outstanding Graduate Student in Piano, and a Bachelor of Music in Piano Performance from Wheaton College (IL), where she was a recipient of the Ben Heppner Prize. She has studied with Bradley Bolen, Daniel Paul Horn, and Chiu-Ling Lin, and participated in masterclasses with Jon Nakamatsu, Frederic Chiu, and Zsolt Bognár.